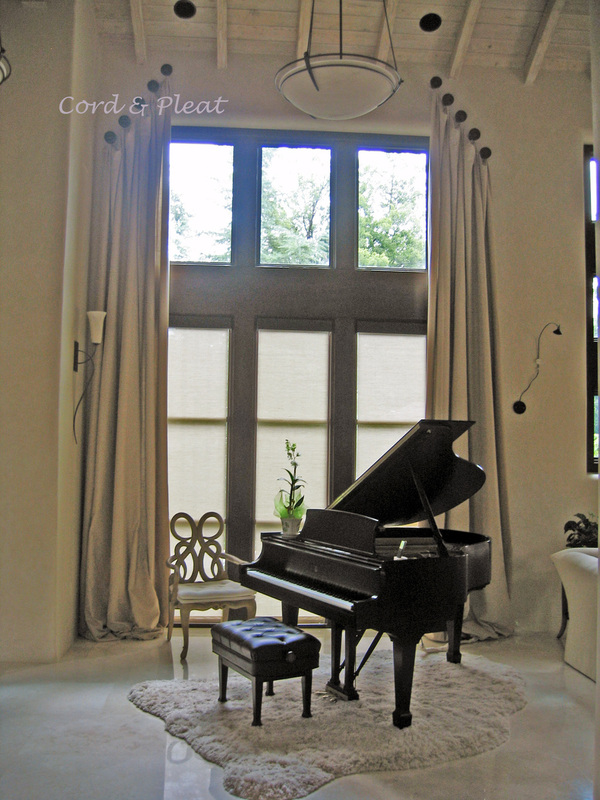 August '09 Projects — Cord & Pleat Design, Inc. I wanted to take a moment and post a few photos of recent completed projects! 2 story panels mounted on medallions with puddled hem in a great room! This project was a master bedroom, dressing area and bath. We used a gently arched valance with box pleated skirt and trim. In the master bedroom we added stationary panels over the existing silhouette shades.